Regional development policy is a priority of Colombia’s government. The country has experienced sustained economic growth over the past decade; yet several territories still lack development opportunities. To promote growth in all regions the government has engaged in a series of reforms. For instance, it started allocating royalty payments generated by hydrocarbon resources to all departments and most municipalities, including those that are not endowed with natural resources. 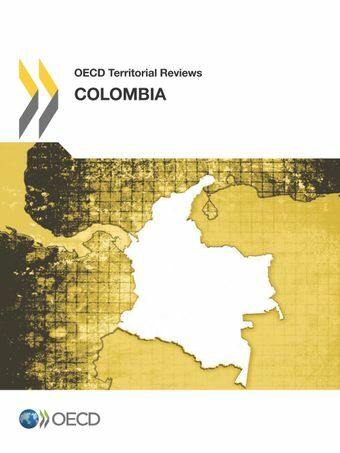 The reform also promotes better multilevel governance and represents a good policy practice for countries seeking to link natural resource development with regional development.To support the current efforts of Colombia’s government, this report illustrates policy recommendations to help national authorities adopting a territorial approach to inclusive economic development. In particular, the OECD recommends to: a) improve the quantity and quality of regional statistics and formulate urban and rural taxonomies that help tailor policies to places; b) involve territorial constituencies in the design of policy interventions and allocate to them more implementation responsibilities within the framework of the National Development Plan; c) promote coordination among subnational bodies to scale up investment in territories to avoid that public investment – and royalty payments – gets dispersed in a myriad of small-scale projects.